CHICAGO (AP) — The U.S. Supreme Court announced Monday that it will not hear an appeal by imprisoned former Illinois Gov. Rod Blagojevich of his corruption convictions, the second time in two years it has declined to take up his case. The nation’s highest court offered no explanation for its decision, letting stand the Chicago Democrat’s convictions. They included seeking to trade an appointment to the Senate seat Barack Obama vacated to become president for campaign cash. 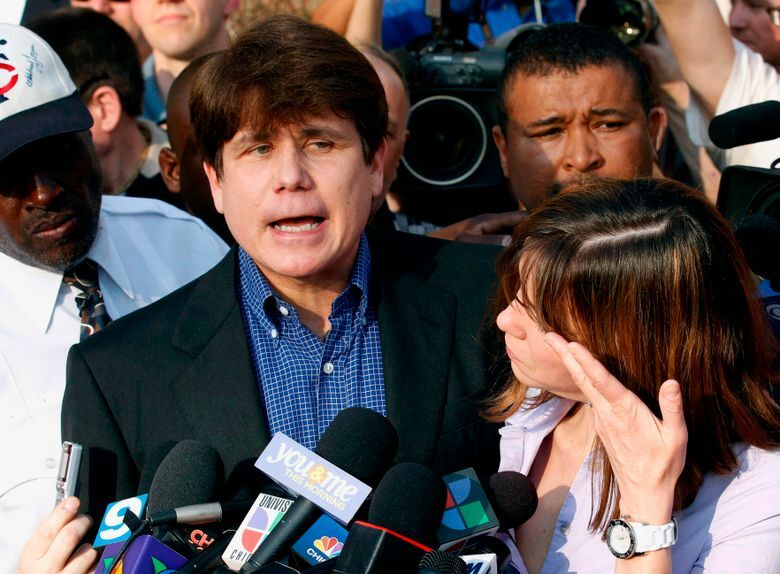 Blagojevich, 61, began serving his 14-year prison sentence in 2012. His scheduled release date is 2024. She didn’t mention President Donald Trump. But one option could be asking him to commute Blagojevich’s sentence or pardon him. Blagojevich was on Trump’s “Celebrity Apprentice” reality television show in 2010. Blagojevich’s lawyers argued the Supreme Court should take up Blagojevich’s case to clarify what they argued are blurry lines between what constitutes legal and illegal political fundraising. Blagojevich attorney Len Goodman said Monday his client’s punishment was disproportional.